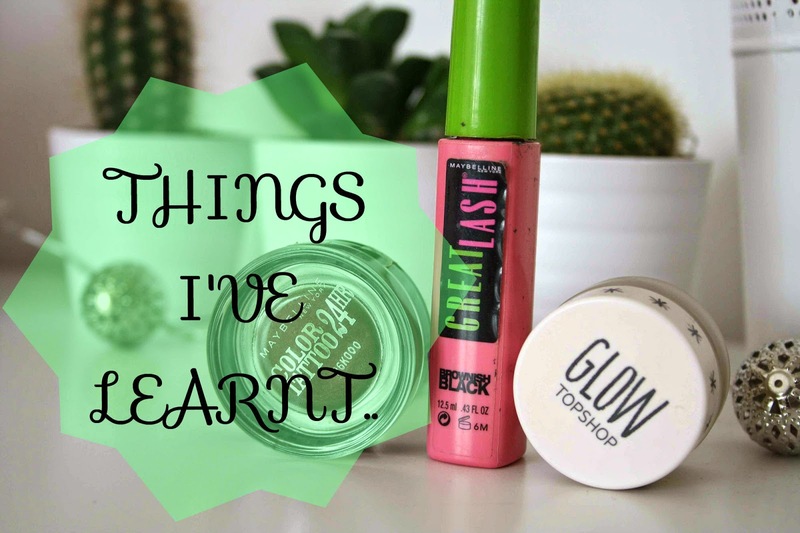 Hello everyone, today I thought I’d share with you a few hints and tricks when buying make up! I’d like to say this is for beginners but then again, I’m still learning and I guess I could take a few tips from myself still, haha. Anyway, here we go. If you’re starting out with make up, never go straight into the deep end. Go for a foundation, or mascara or whatever you’re planning on buying, from a fairly cheap brand. Just so you can just test and try and work out how to use it in a way that’s good for you. Kind of something to add to that first point, ALWAYS find a foundation/concealer/powder etc, that is correct to your skin tone. There is nothing worse than buying a foundation without testing it, getting home and finding out its to orange or to pale for your skin. In pretty much every place you can buy make up, whether it be a drugstore or a high end shop, someone will help you out picking the right colour for you. Don’t go for something just because everyone else loves it. If you’re doubting whether or not to buy a new product everyone else loves, don’t feel you have to buy it! Especially if it’s expensive, maybe ask for a tester before you go out and spend loads of money to see if its really right for you. You can never have enough mascaras. This is probably a really bad point, but I honestly can’t get enough of mascaras. Is that bad? Every mascara is so different, and it can be hard to find a really good one. So trying a few is never bad, right? If you’re starting with make up, I don’t think make up brushes are essential. However, the more you get into make up and things, they’re a pretty good thing to be using. Blending with your hands and fingers can be fine, but brushes can sometimes do a better job I think. Especially when it comes to eyeshadow, brushes are something you want to be using. What have you guys learnt over the time you’ve been using make up? I hope you all enjoyed this post, and thank you for reading!